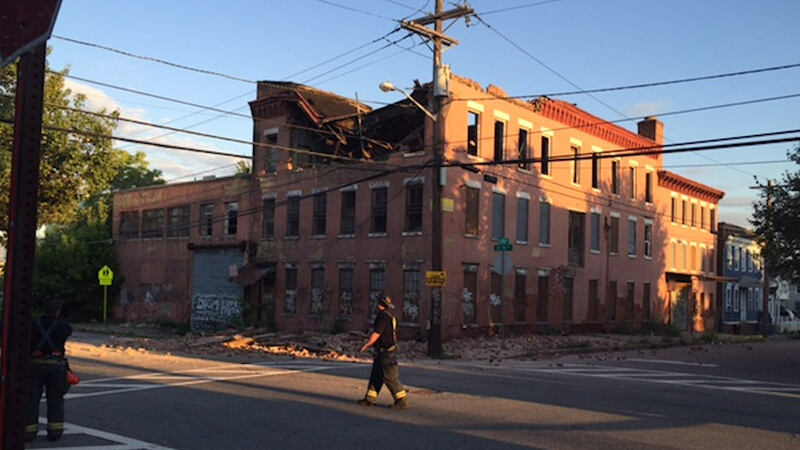 NEWARK, New Jersey (WABC) -- A partial building collapse in Newark brought a big emergency response on Tuesday evening. It happened on 15th Avenue and South 8th Street around 6 p.m. The building is abandoned and the debris littered the sidewalk. City police blocked roads in the area. Some of the bricks and debris made it across the street in front of homes. According to the fire chief, at least two people suffered minor injuries. The building will be demolished. It's a city-owned mixed-use building.